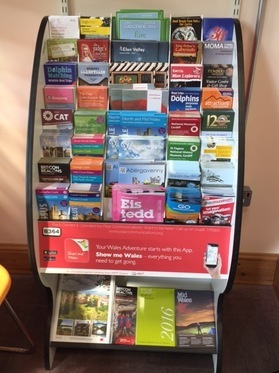 Pear Communications are offering our members a fantastic deal for brochure distribution (large or small), attractive Show Me Wales branded display stands for larger outlets, and a free online brochure ordering service for smaller outlets. Members can order stands through www.pearcommunications.org – simply click on ‘stockist area’ and select the stand you require using the links provided. These are available Free of Charge and will be serviced directly by the Pear Team. If you would like to order a Rack for your own use (to stock your own print) then visit Pear’s Partners at Tidy Stands who will be happy to help: www.tidystands.co.uk . Targeting City Dwellers, Commuters, Tourists, Families and Key Target Market Groups via exclusive outlets including: Wales Hotels, Wales Transport Hubs, Wales Supermarkets and Wales Attractions. Pear Clients Include: Welsh Government, Visit Wales, Cadw, Welsh Rugby Union, Welsh Millennium Centre, Cardiff Council, Carmarthenshire Council, Swansea Council and many more. Specialist Networks: Arts, Theatre & Culture, Family & Community, Tourism, Affluent, Students, Schools, Sports, Commuters and office Workers.